Fatboy’s Original Stonewashed is manufactured from 100% super-soft Stonewashed cotton, making it the last word in indoor relaxation. The rugged design of the Original combined with the gentle caress of the Stonewashed fabric makes the Original Stonewashed a must-have in any living space. The Original Stonewash is durable yet soft and perfect for curling up or lazing out! 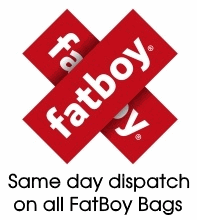 The Fatboy Original Stonewashed is made from 100% cotton and is machine washable. There is an inner bag and a washable outer so your beans will be safe while you clean your bag. These bags are suitable for indoor use only.